Bed Frames are much like most other large home furnishings, standard of material and build will dictate the cost and quality. Faux Leather is an inexpensive option and solid oak can provide a lifetime of quality and build. 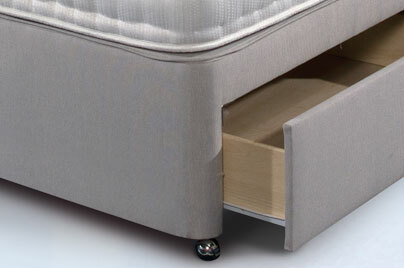 Divan beds provide a storage solution - mattresses can lift up and Divans also come with two or four drawer options. It is worth exploring the stores below for the sales and offers that are often available. There are many Platform Bases with a couple of drawers beneath, for less cost than this £300 Sleepeezee version, but the vast majority have very cheap drawers that can crash under the weight of a sheet! 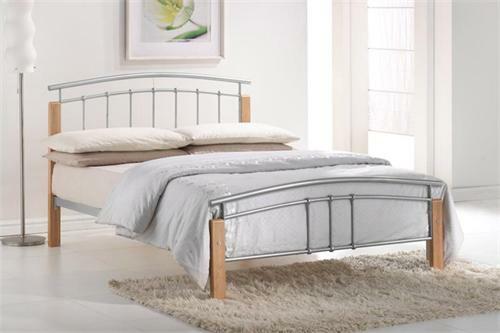 Of course, just because a bed is cheap it doesn't necessarily mean it will be bad, as this Birlea Furniture Tetras 4'6" Double Bed Frame will attest. At just £99 it is a real bargain. Faux Leather Bedsteads are currently very popular and this Cloud 9 is around £160. It may be a current trend but at that sort of price it doesn't really matter. Just because it says it is wood does not mean it is wood. It could just as easily be reconstituted wood with a veneer cover. 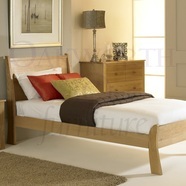 This Mayfair Solid Oak 4'6" Double Bed Frame, on the other hand, is just £325.